Now Great opportunity for dentist all around the world to do microscopic Endodontic Surgical Course from international trained Microscopic Endodontic surgeon from Penn Dental School USA Dr.Manav Sachdeva. He is practising dentistry from last 18 years. He is into the post graduation endodontic course from USA now we will give you outstanding microscopic training in endodontic. You do the course and take microscope along with it . This is the great opportunity, our first batch will be for seven students in which we will teach them about Anesthesia and Pain control, Introduction to clinic endodontic , Pulp Biology, Endodontic Anatomy and Physiology , Introduction to endodontics and examination, Diagnosis and radiology and treatment planning, Microscope endodontic material and medicaments, Instrumentation and obturation, Traumatic injuries to the teeth and supporting structure, Plans to remove the broken instrument like endodontic file from tooth, WITH INTERNATIONAL STANDARDS. We are the only people in india who will provide these seven students individual microscope during this course. The same microscope you will take to your clinic which you will work upon. Students have to bring extrated teeth with them. 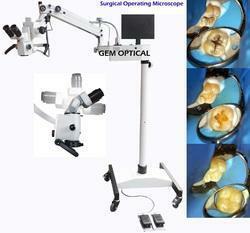 We have gained immense expertise in delivering Dental Operating Surgical Microscope to our clients. 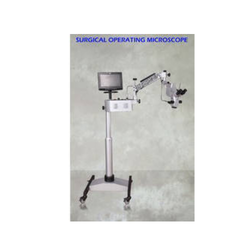 The offered range of dental operating surgical microscopes is available in different designs, shapes and sizes to cater to the diverse requirements of esteemed clients. Along with this, the offered range of dental operating surgical microscopes is suitably checked on number of characteristics to ensure its conformation with the benchmarks of quality. 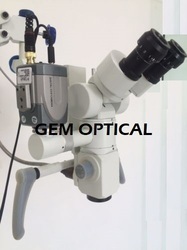 Looking for Dental Microscopes ?